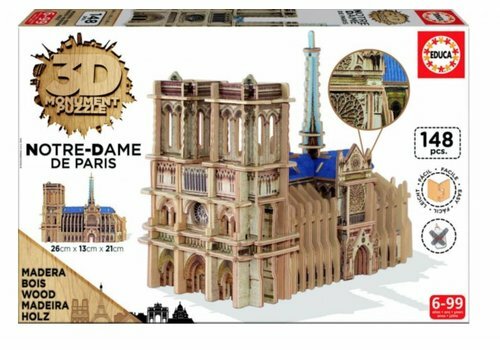 A fantastic wooden puzzle of the Notre-Dame in Paris. 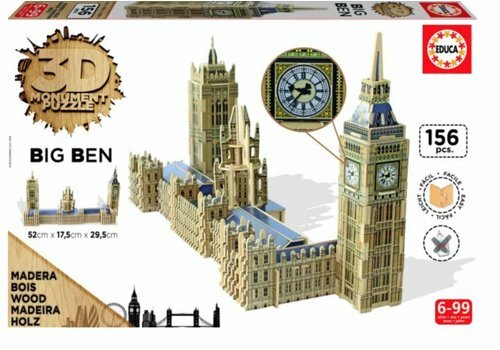 The pieces are of nice solid quality. They are easy to slide into each other without using glue. The end result is a nice solid 3D construction. 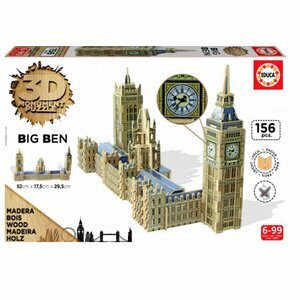 The Big Ben in London, together with Palace of Westminster in 1 wooden puzzle. The pieces are of nice solid quality. They are easy to slide into each other without using glue. 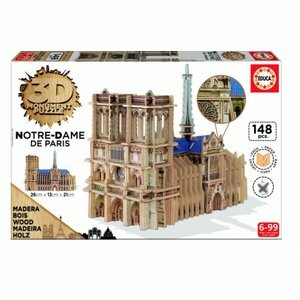 The end result is a nice solid 3D construction.